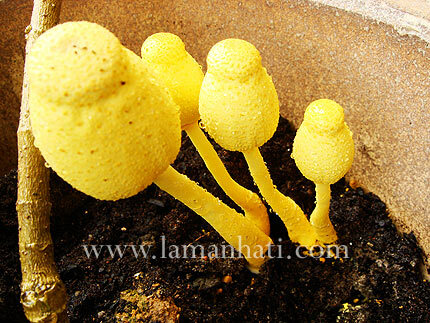 I think that’s what it’s called after searching about yellow mushroom on the Internet. I was shocked to see those yellow heads in my plant pot after a hot and rainy day. I think this is what Malay proverb said about cendawan tumbuh selepas hujan – how fast mushroom sprouts after a rainy day. One day there are none, the next day one pops after another. It’s probably poisonous so since mushroom grows by disseminating spores, I took them out from the pot and yet after a few days I saw a whole new bunch popped up in the same plant pot. On my third attempt, I managed to evade their growth and hopefully I won’t get to see them again. I know they might be harmless for the plant, but still having something else sharing the soil of my precious flowering plant seems like a pest or weed to me..heh! 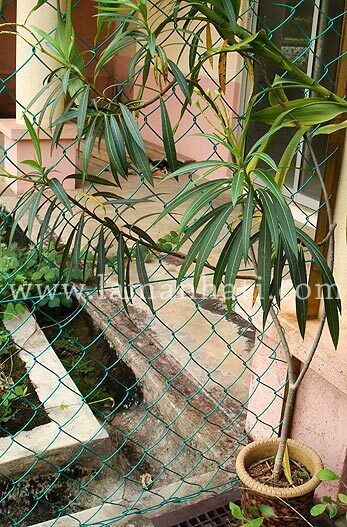 At first when I edited the picture of this Lidah Mak Mertua plant, I thought it belongs to dracaena family. But after searching for the info, I realized that it is a species of Sansevieria plants. 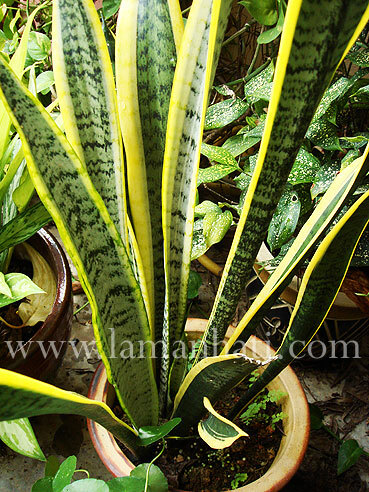 It is also known as snake plant because of the shape of the leaves and mother in law’s tongue for the sharpness. 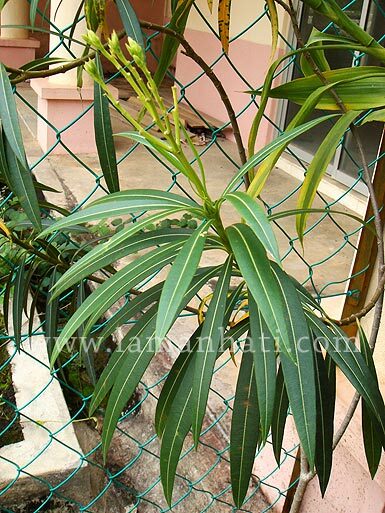 I was not really fond to have this plant in my house as it has very sharp thorns at the end of the stiff leaves. But since my SIL gave me the almost dying plant last year, I thought what the heck, just give it a chance to grow..heh! So here is the picture of my snake plant after some tender loving care. 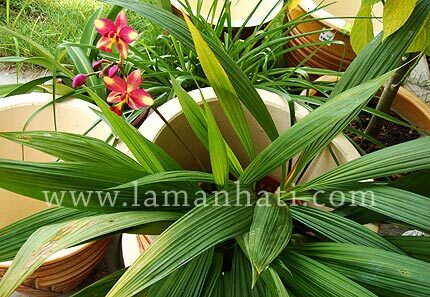 The best part is you don’t need to water it very often as it will rot easily if overwatered. Good for someone with hectic schedule and lack of time to do gardening on daily basis. After much searching I couldn’t find the scientific name for this plant. I only know it as Sepuleh (sepulih?) as that’s what my MIL told me when she gave me the bulb. I have this Sepuleh plant for more than 3 years now and recently the flowers came out in large head. So since that was the first time I saw a Sepuleh plant blooms ( a bit jakun here..heh! ), I told myself I should take the picture to share with others. Actually I was scared that the plant was dying as all the big leaves dropped out and some small one wilted due to my negligence to water it everyday..heh! As of now, the flowers are all drying out and the bigger leaves are all gone. There’s only 2 small leaves at the bottom of the plant. Now I wonder whether my Sepuleh plant will go on living or it will die of bulb ache due to my lack of attention to it, heh! I grow this bunch of pegaga plants in a pot since 3 years ago. I am not sure what type of pegaga it is because I’m very sure this is not the one that you make kerabu or eat as ulam. The pegaga I grow have thicker leaves and although some relatives told me it can be blended into juices, I just don’t feel like eating my decorative plants even though by right it belongs to herbs category..heh! Since it grows in a pot with water inside, for the past few months it becomes the water indicator for my garden. Usually if the weather is very hot and I am unable to water the plants for 2 days in a row, all the leaves will start to droop and dry out. That’s how I know that all the plants in the garden really need the splash of water..huhu! I’m still trying to plant the type that people eat for ulam since people says eating pegaga could help maintain the youthfulness..haha! I’ve been meaning to ask the readers of LamanHati about the name of this flowering plant since September..huhu! 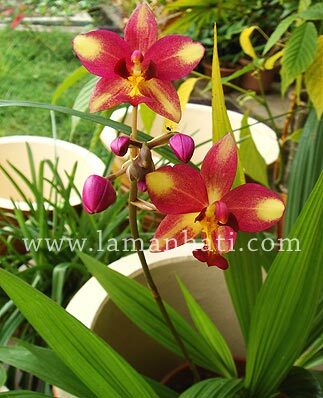 But due to my hectic schedule, I keep on neglecting to update this blog until last week when I bought Laman Impiana Nov/Dec07 edition and found the name of this plant. 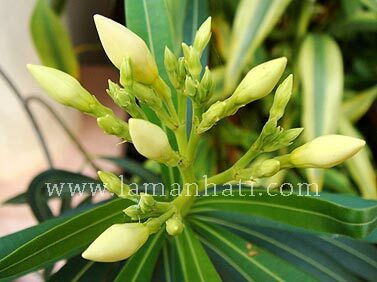 So here is Kemuning – Murraya paniculata. I bought it at Taman Warisan, Putrajaya together with a few other plants and I have been waiting for it to start flowering. Until finally in early September this year I see that it’s going to produce flower that makes me wonder what’s the name of this plant. Of course when I bought it, the nursery owner already informed me but with so many plants bought at the time, I tend to forget. If you never see how a Kemuning flower looks like, have a closer look here. It is so fragrant even the ants like it..heh! The flowers did not last that long so when I snapped this picture, this is the only flower that was still intact on the plant. It’s like an annual event to go to Flora Fest held in Putrajaya. This time it was held for 9 days. I was hoping to go on the first day but I was busy with with work and only managed to go on Saturday before it was over. Of course most of the flowers used in the arrangement were all drooping and turning blackish especially the one in the outdoor exhibition. 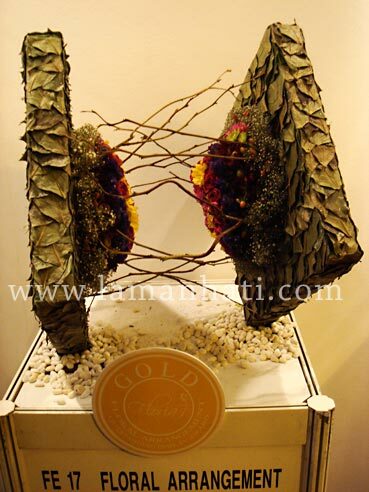 Here is a picture of one of the floral arrangements that won gold award. Perhaps anyone would like to copy the design to use during the coming festive Raya season..hehe! 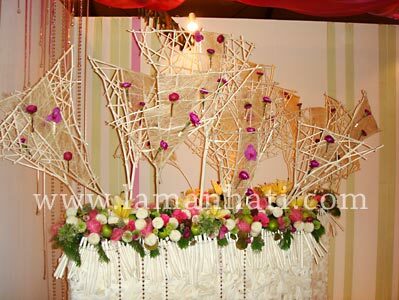 Then there was bigger arrangement useful for wedding and party decoration. They all used fresh flowers so it must costs a lot if I were to use this as decoration for party or my niece’s wedding dais. This one was named Bed of Roses. I wonder what Bon Jovi would think of this..haha! 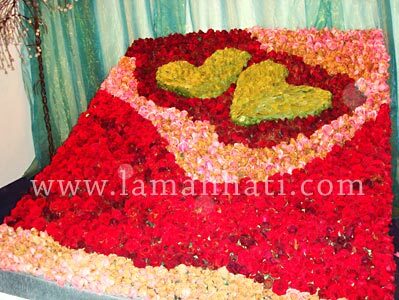 It used a lot of roses. I think I have to buy direct from rose farm in Cameron Highland to really cut cost. Thanks to a reader who pointed out, I think the previous pictures of my orchid-like plant should be renamed to Spathoglottis plicata. It grows well in tropical and semitropical areas as it thrives in great air circulation and very bright light, as well as hot temperature. The flowers will be in magenta (pink-purple) color and bloom repeatedly, throughout the year. 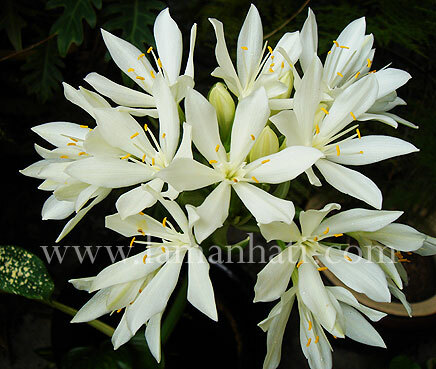 It can be propagated by dividing the rhizomes, tubers, corms or bulbs (including offsets). 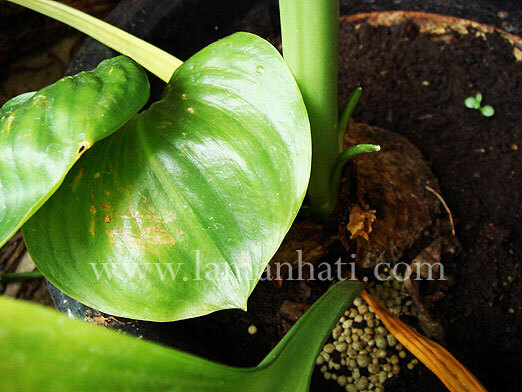 It also has seeds which can be germinated. So after all, my orchid is really an orchid..hehe! 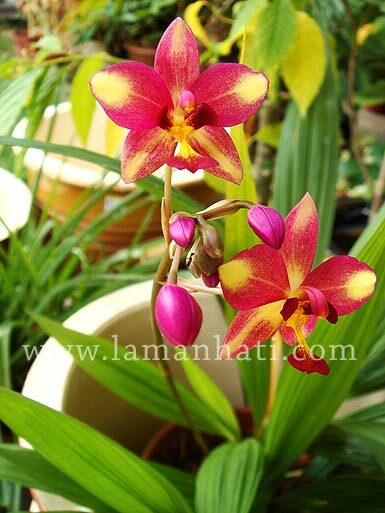 Oh, more info found here about Spathoglottis plicata. Is This Orchid Palm Grass? I have been searching for the name of this plant for many weeks. When I bought it, I read the tag that says something to do with orchid and palm, so I thought this is another type of tropical orchid. I have divided the original plant three time, one to give to my SIL and this one, the one blooming in the picture was finally given to my aunt 2 weeks ago. 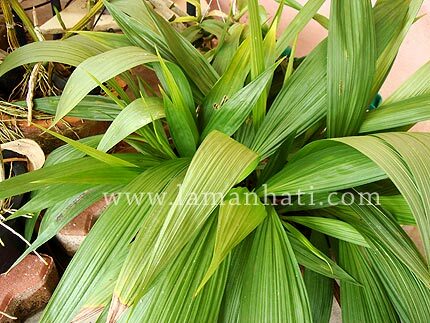 I think it is Curculigo capitulata, Orchid Palm Grass but when I searched online all it says that this plant has yellow flower that looks like orchid. But mine is not yellow. I’m still searching for the right name for it but reading the description and looking from the picture they shared, I think I am almost right. With sad heart I have to admit that this is not jasmine. Thanks to Layman for the info, although I really want it to be a non-poisonous plant, but as a matter of fact Nerium Oleander L is a poisonous plant that could kill people. 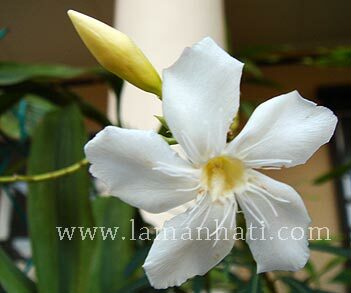 For now I think it is still safe to have this Oleander in my garden. But perhaps in years to come I should consider removing it..huhu! I’ve been searching about this Jasmine (well, I still think it’s one of the jasmine family) though after googling through between the descriptions of Trachelospermum jasminoides and Trachelospermum asiaticum both do not fit my jasmine plant. When I bought this almost 4 years ago, the man at the nursery told me this is another type of jasmine. 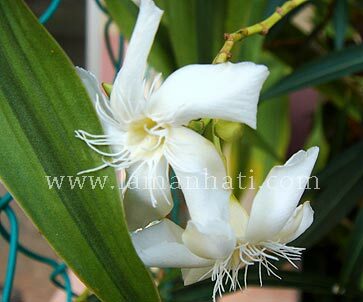 It has a fragrant blossoms that continuously grow well despite the sun and the rain. 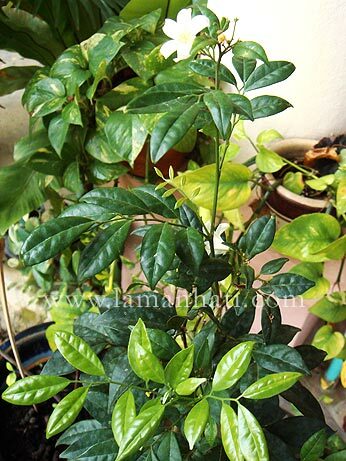 From what I read, the T.asiaticum or Asian jasmine plant should have oval leaves while mine is quite long and thin leaves. And those flowers images on the Web do not have whiskers like my flowers. Now I wonder whether this plant really belongs to a jasmine family. 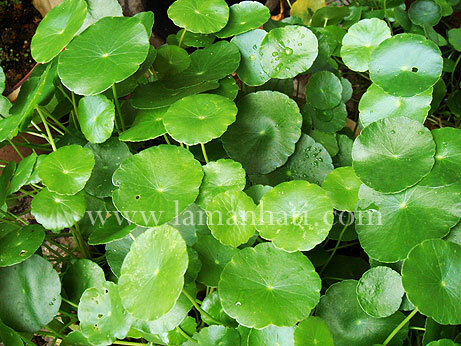 So anybody out there who knows the real name for this plant, do drop by and tell me. 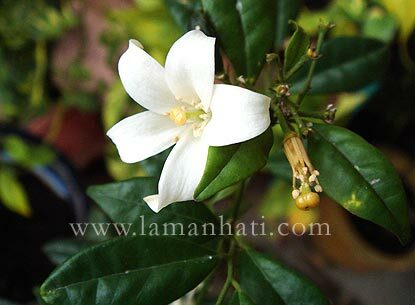 It is really bugging me to think that I don’t know what kind of jasmine-like plant I actually have in my garden..huhu!